On August 29, a little after midday, Maura Cordero, the owner of an arts and crafts shop in the small town of Acatlán in the central Mexican state of Puebla, noticed an unusual number of people gathering outside the municipal police station next to her shop. Cordero, 75, moved closer to the door and peered out. Dozens of people were outside the police station on Reforma Street, the town’s main thoroughfare, and the crowd was swelling. Soon there would be more than a hundred people. Cordero could not remember seeing such a crowd in Acatlán except at a holiday celebration. As she watched a police car passed her shop bearing two men into the small jail house. The car was followed by more people and cries went up from the crowd accusing the two men who were taken into the jail house of being child abductors. From behind a narrow metal gate at the entrance to the station, police replied that the men were not child abductors but minor offenders. They were minor offenders, the officers said again and again, as the crowd grew in size. Inside the station sat 21-year-old Ricardo Flores, who had grown up just outside Acatlán but moved to Xalapa, 250km to the north east, to study law, and his uncle Alberto Flores, a 43-year-old farmer who had lived for decades in a small community just outside Acatlán. Ricardo had recently returned to Acatlán to visit relatives, who said the two men went to the centre of town that day to buy construction supplies to finish work on a concrete block water well. Police said there was no evidence the men had committed any crime, and that they had been taken into the station for “disturbing the peace” after they were accosted by local residents. But the mob outside the station on Reforma Street was in the grip of a different version of events, a story stirred up somewhere unknown and spread through the private messaging app WhatsApp. “Please everyone be alert because a plague of child kidnappers has entered the country,” said the message that pinged from phone to phone. Sighted near an elementary school in a nearby community called San Vicente Boqueron, Ricardo and Alberto became the child abductors conjured up by collective fear, and news of their arrest spread just as the rumours of the child abductors had. The crowd that descended on the police station was whipped up in part by Francisco Martinez, a long-time resident of Acatlán known as “El Tecuanito”. According to police, Martinez was among those who spread messages on Facebook and Whatsapp accusing Ricardo and Alberto. Outside the police station, he began to livestream events on Facebook via his phone. As Martinez attempted to rally the town, another man, identified by the police only as Manuel, climbed up onto the roof of the colonial-style town hall building next to the police station, and rang the bells of the government office to alert locals that the police were planning to release Ricardo and Alberto. A third man, Petronilo Castelan — “El Paisa” — used a loudspeaker to call on the citizens to contribute money to buy petrol to set the two men on fire, and he walked through the crowd to collect it. In her shop, Maura Cordero watched with fright, until she heard from someone outside that they should run because the crowd would set the men on fire. Dear God, she thought, this is not possible. Moments later, the crowd coalesced into a mob with one goal. The narrow gate at the entrance to the police station was wrenched open and Ricardo and Alberto Flores were dragged out. As people held their phones aloft to film, the men were pushed to the floor at the base of four stone steps and savagely beaten. Then the petrol that was brought earlier was poured on them. Eyewitnesses believe Ricardo was already dead from the beating, but his uncle Alberto was still alive when they set the two men on fire. Video footage shows his limbs moving slowly as the flames licked around them. 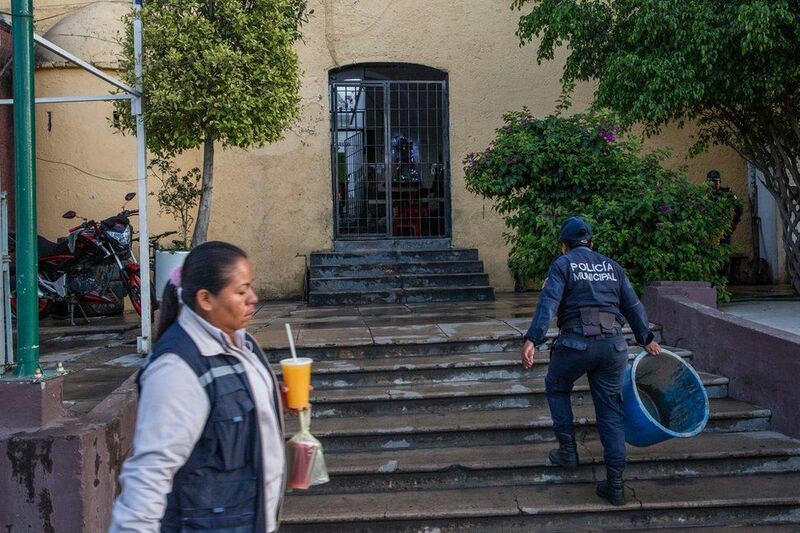 The blackened bodies remained on the ground for two hours after they were burned, while state prosecutors made their way from Puebla City to Acatlán, and the reek of the petrol remained in the air. Petra Elia Garcia, Ricardo’s grandmother, was called to the scene to identify the men, and she said tears were still on Alberto’s cheeks when she arrived. “Look what you did to them!” she shouted at the remnants of the mob, which had begun to disperse. 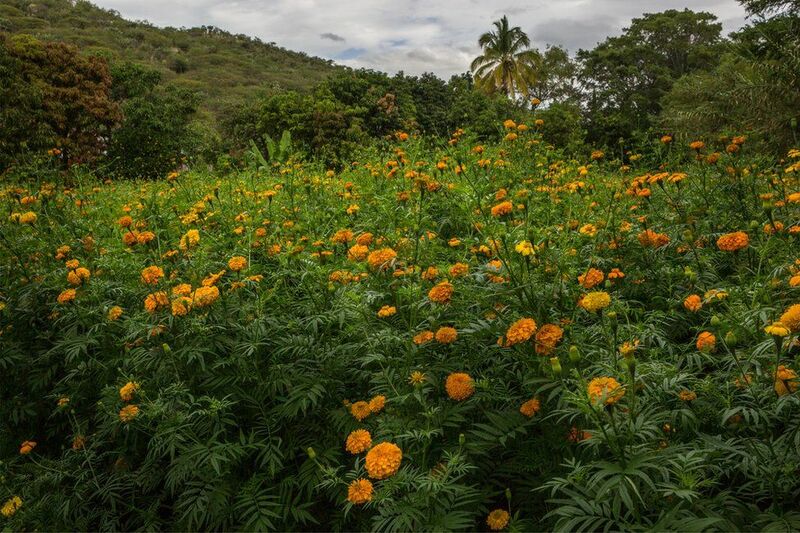 The road that runs into Acatlán is lined on either side by maize and marigold fields. Mango, fig and walnut trees grow from vast plots of land owned by local farmers. 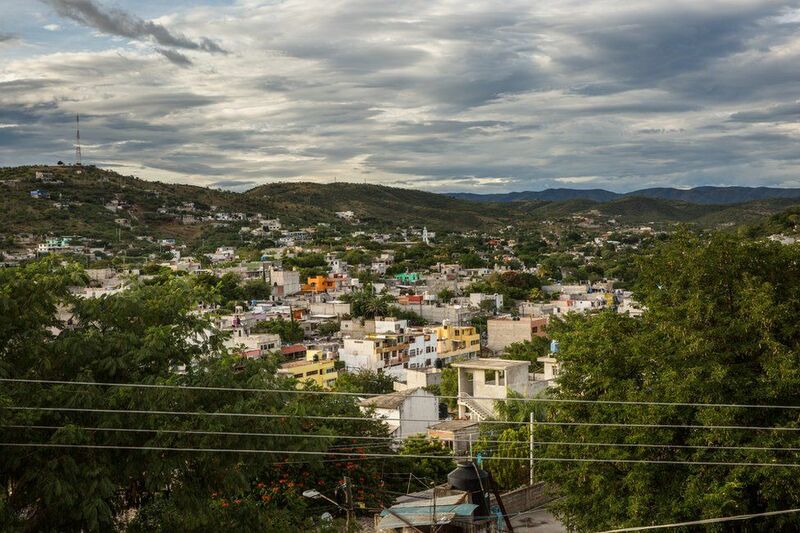 The town is nestled in the heart of the Mixteca highlands and is known as the “Pearl of the Mixteca region” — a reference to the Mixtecs Mesoamerican indigenous groups that first settled in the region centuries ago. Most families in Acatlán depend on remittances sent to them by relatives who have migrated to the United States. Like many other towns in Mexico, it has seen thousands of its citizens leave to head north in search of better opportunities. 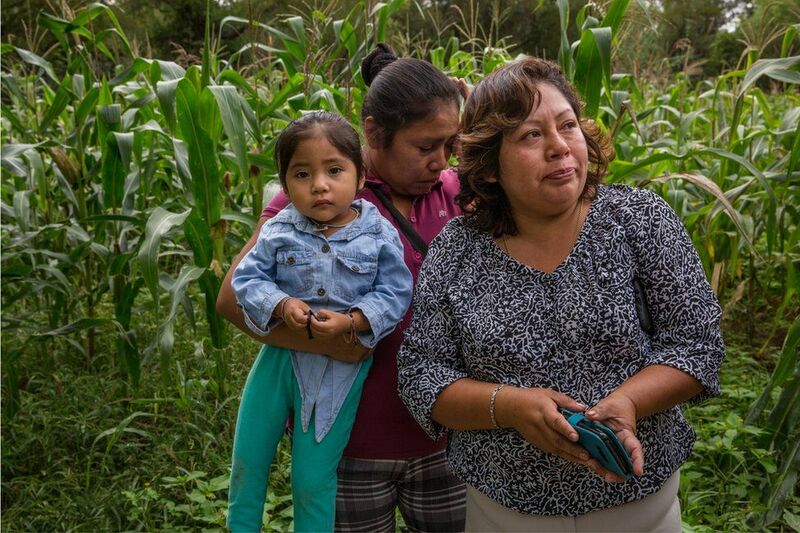 Among those migrants in the early 2000s were Maria del Rosario Rodriguez and Jose Guadalupe Flores, who moved north in the hope of providing better living conditions for their two young sons left behind, Jose Guadalupe Jr and his younger brother Ricardo. The two boys, aged seven and three, stayed behind with their grandmother, Petra Elia Garcia, in Xalapa in the state of Veracruz. Their parents, Maria and Jose Guadalupe, moved from city to city in the US before making their home in the east coast city of Baltimore. Maria became a domestic worker and Jose Guadalupe a construction worker, and they had a third child and called her Kimberley. Via Facebook and Facetime, they kept in constant communication with their two sons at home. Then on 29 August, Maria received a string of Facebook messages which seemed at first like a bad dream. A close friend in Acatlán was telling her that her son Ricardo had been arrested and was suspected of child abductions. It was a mistake, she thought. Ricardo would never be involved with such a thing. But the messages kept coming. Then came a link to a livestream on Facebook, and when she clicked on it she saw a mob, then she saw her son and his brother in law being beaten by the mob. In vain, she posted a comment on the livestream. “Please don’t hurt them, don’t kill them, they’re not child kidnappers,” she recalled writing. But her message had no effect and she watched in horror as the men were doused in petrol, and the same technology that allowed a man in Acatlán to summon a mob to kill her son allowed her to watch him die. Later that day, Maria, Jose Guadalupe, and Kimberley returned to Acatlán for the first time in more than a decade. There they met Jazmin Sanchez, Alberto’s widow, who had also watched the events unfold on Facebook. 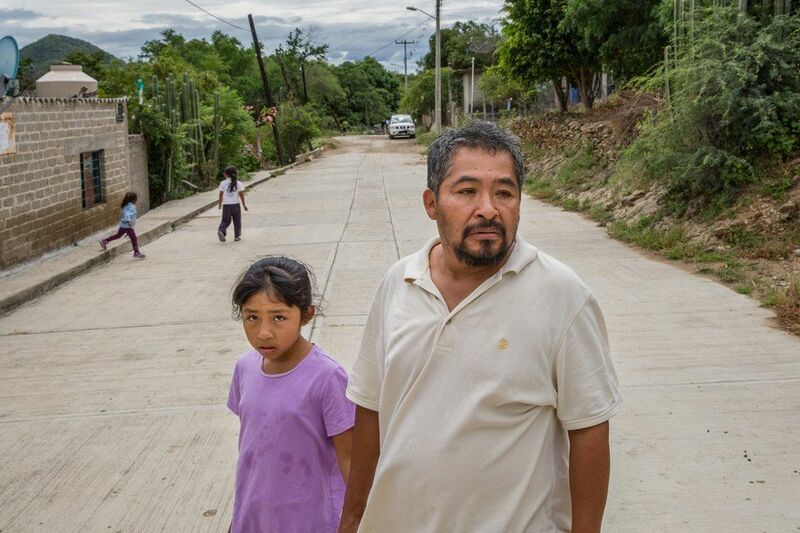 For decades Jazmin and Alberto had lived just 14km outside Acatlán, in Xayacatlan de Bravo. 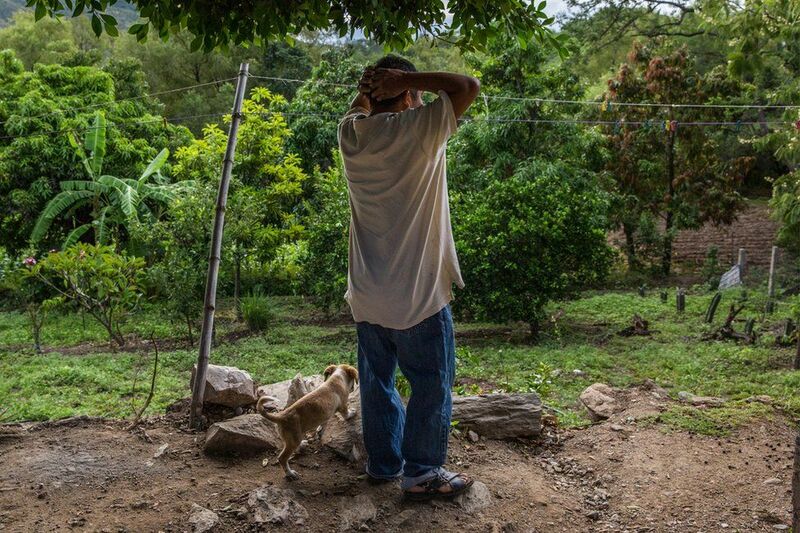 Every day, Alberto went to work in the Maize fields he had planted on the land he owned in nearby Tianguistengo. When he died he left behind a small, half-built house in Tianguistengo, as well as the wife and three daughters he was building it for. “He was a good man, he didn’t deserve to die the way he did,” said Jazmin, clutching a cap, a belt, and a wallet that had belonged to her late husband. Maria and Jose Guadalupe returned to another small house in Tianguistengo which they had left for their sons when they set out for the US. Standing at the back of the house, Maria recalled her son. He liked butterflies and running through the maize fields around the house. He left to study law because he wanted to defend people from injustices. “They took him from us and he didn’t even leave a child behind for us to take care of,” she said. 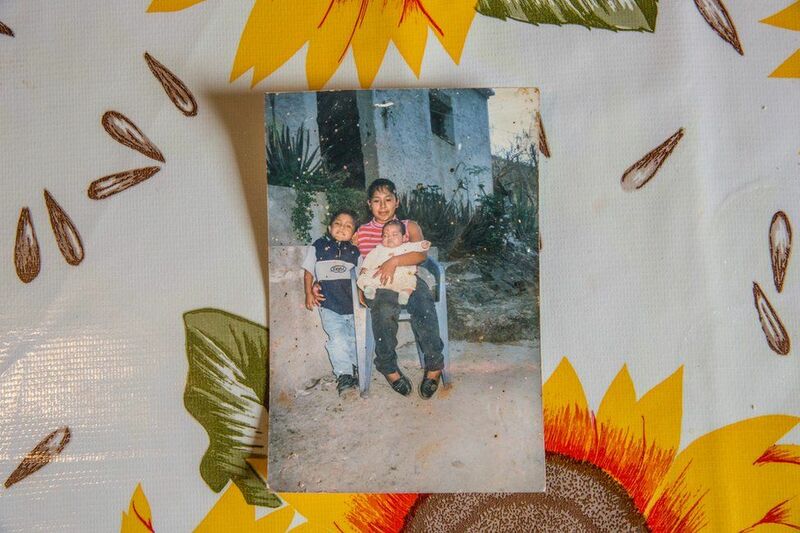 In Acatlán, the family was met with a wall of silence. With the exception of Maura Cordero, the shop owners on Reforma Street said they were out of town when the violence happened, or that they shut their shops and fled, or that they never opened in the first place that day, which was not a holiday. According to state authorities, five people have now been charged with instigating the crime and four more with carrying out the murder. 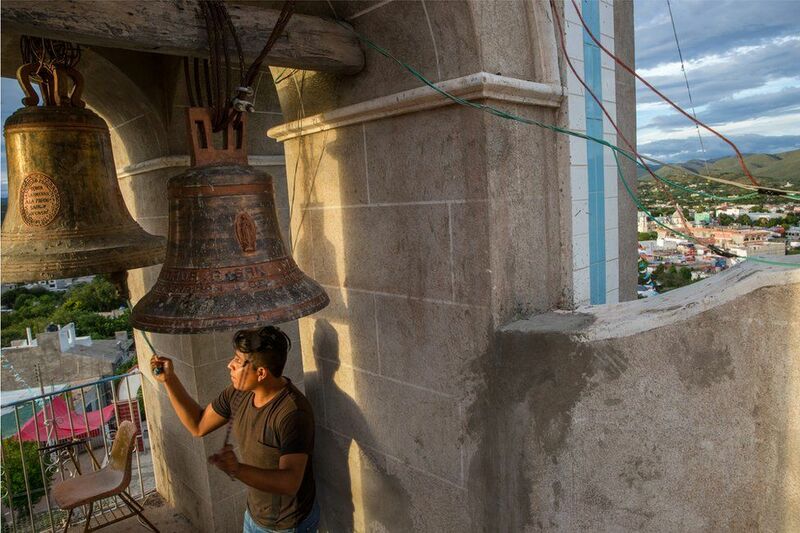 Martinez, who broadcast the livestream, Castelan, who called for petrol, and the man identified as Manuel, who rang the bells, were among the five. But the remaining two alleged instigators, and the four suspects charged with the murder were on the run, police said. The day after Ricardo and Alberto died, a funeral service was held in Acatlán. Maria believed there were eyewitnesses to the crime among the crowd who gathered at the service. “Look how you killed them! You all have children! And I want justice for my loved ones!” she shouted as tears rolled down her cheeks and the cameras from the local and national TV stations filmed. Maria still cannot understand why the mob was swept up in the lie. “Why didn’t they check? No children were kidnapped, no one filed a formal complaint. It was fake news,” she said. Ricardo and Alberto Flores’s deaths in small-town Mexico were not isolated. Rumours and fake news stories on Facebook and WhatsApp have fomented fatal violence in India, Myanmar and Sri Lanka, to name just three. In India, as in Mexico, the technology — WhatsApp is an encrypted private messaging app that lets people send messages to large groups — has upgraded time-old rumours about child abductors for the 21st Century, allowing them to spread faster and farther with less accountability. WhatsApp, which was bought by Facebook for $19bn in 2014, has been linked to a wave of lynchings across India, often fuelled by fake stories of child abductors. In the state of Assam in June, in an incident frighteningly similar to that in Acatlán, Abhijit Nath and Nilotpal Das were beaten to death by a mob of 200. 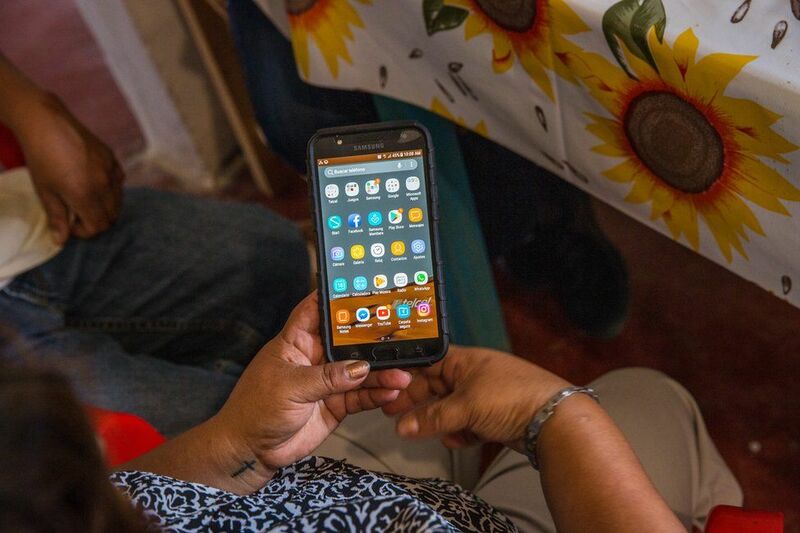 Both WhatsApp and Facebook are widely used for news consumption in Mexico, according to a 2018 report by the Reuters Institute for the Study of Journalism. According to the same report, 63% of internet users in Mexico say they are either very concerned or extremely concerned about the spread of fake news. “The digital platforms serve as instantaneous vehicles to channel the best and the worst of us, including our fears and prejudices,” said Manuel Guerrero, the director of the School of Communication at Mexico’s Universidad Iberoamericana. “And that becomes more evident in the absence of effective authorities that can guarantee our safety,” he said. 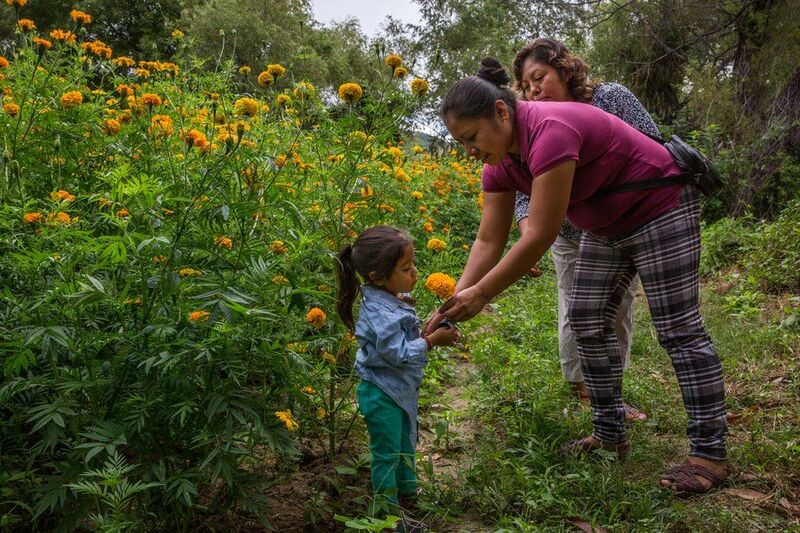 On 30 August, the day after Ricardo and Alberto died in Acatlán, residents of the town of San Martin Tilcajete in the southern state of Oaxaca attempted to lynch a group of seven men, a group of housepainters, who were falsely accused of being child kidnappers. That day, police officers were able to rescue the men. But the same day, in Tula in central Hidalgo state, the grisly scene from Acatlán repeated itself when two innocent men were accused of being child abductors, beaten, and burned to death. Beyond Mexico, in Ecuador, on 16 October, two men and a woman arrested for allegedly stealing 200 US dollars were killed by a mob after a message circulated on WhatsApp falsely accusing them of being child snatchers. And on 26 October, a mob in Colombia’s capital Bogota killed a man who was falsely accused in WhatsApp messages of being linked to the kidnapping of a child. Because of WhatsApp’s ironclad end-to-end encryption, the origin of anything shared on the app is impossible to trace. The company resisted calls in July from the Indian government to break its encryption and allow authorities to track messages. A spokesman for Facebook told the BBC the platform “did not want our services to be used to incite violence”. At least 10 state governments in Mexico, including Puebla’s, have now launched information campaigns alerting citizens to the wave of fake social media messages about child abductions, and Mexico City’s cyber police have created chat groups on Whatsapp to allow direct communication with residents of at least 300 neighbourhoods across the capital. Citizens ask the police via the groups to verify stories and police use the groups in turn to gather evidence against those who spread fake news. Also on the team’s remit: identity theft, extortion attempts, and human trafficking. 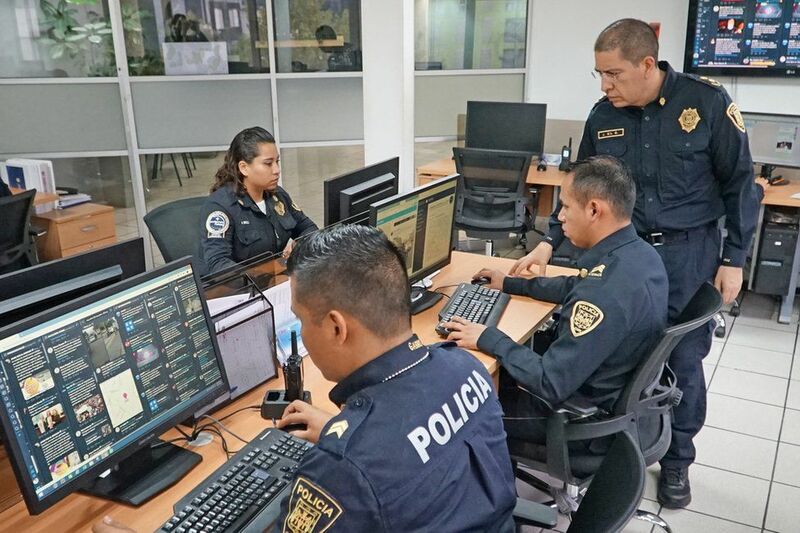 “We believe that of every 10 crimes, technology is used in nine,” said Jose Gil the deputy minister for Information and Cyber Intelligence in Mexico City. A lack of effective law enforcement and culture of impunity in Mexico made rumours inciting violence “pure dynamite”, said Tatiana Clouthier, a member of parliament in the country’s Chamber of Deputies. The lynchings in Acatlán had weighed privacy and freedom of expression against a terrible cost, she said. On 24 October in the afternoon, a group of around 30 relatives of Ricardo and Alberto gathered under the sun at the Church of the Calvary in Acatlán for a memorial service. The priest prayed for both families and blessed two metallic crosses that they had brought. The service lasted for an hour, and then the families walked half a kilometre carrying the crosses to the place they had avoided for the past two months. Ricardo’s father, Jose Guadalupe, placed the crosses by the stone steps where Ricardo and Alberto died, and the group stood for a while in silence on a quiet afternoon on the main street in town. Those rumours still exist on Maria’s phone – and perhaps on other phones all across the town and beyond — but she cannot bear to look at them now or show them to anyone else. The day of the memorial, she made a pledge with Alberto’s widow Jazmin to visit the site of the lynching once a week and replenish the votive candles they had left by the crosses.